When I travel, the first thing I do to begin uncovering a destination is speak with the locals. I look for locals similar to me who can tell me where they go to grab the best sandwich in town, where they drink beer or which neighborhoods they enjoy exploring. There’s simply no better (and faster) way to get to the heart of a place, then finding out what the locals love. This is exactly why Trevor Morrow Travel is looking for in-the-know travelers and people passionate about their city to contribute and share their knowledge. In doing so, you’ll be helping travelers get to the good stuff faster and get the most out of your city. Please read the following carefully before submitting. Do you love beer and know the best places to drink it in your city (or area, state, territory)? The Internet (and I) will thank you if you can share that knowledge in one convenient article. Examples: 3 Must Visit Breweries in Portland, Oregon. 5 Must Visit Breweries in Austin, Texas. Where To Drink Beer in London. Requirements: Include a minimum of three exceptional breweries and/or beer bars within a specified destination. Included breweries must be open to the public. Here are a few examples of brewery articles: 3 Must Visit Breweries in Los Angeles. Three Must Visit Breweries in Chicago. Imagine your college buddies, a special lady, your brother or your mom and dad are coming to visit you and you want to show them an amazing day or night in your city. Not only will your friends and family reap the benefits of your perfectly curated day or night itinerary — by sharing it on TMT, everyone can join in on the fun. Example: Perfect Day: Food, Sun and Fun in San Diego. Perfect Night: Guys Night Out in Nashville. Date Night: A Romantic Night On The Town In New Orleans. Requirements: Include a minimum of three recommendations which together create a step-by-step guide to having the Perfect Day, Perfect Night or perfect Date Night (for example: rent bikes and bike along the beach, recommend where to go for lunch and what to eat, and top it off with a local favorite ice cream shop for dessert). Remember to have an angle — who is the article for (a group of friends, a couple, etc.)? Here are a few examples of Perfect Day articles: Perfect Day: Newport Beach. Perfect Day: Hermosa & Manhattan Beach. Perfect Day: Williamsburg Brooklyn. Maybe it’s an experience that most people don’t associate with a destination (Stand Up Paddle Boarding in NYC), something that not everyone knows about (LA’s Secret Cocktail Party), or a highly memorable or unique adventures (skydiving someplace beautiful, hiking through a foreign mountain range or getting way off the beaten path)? If so, feel free to let me know. 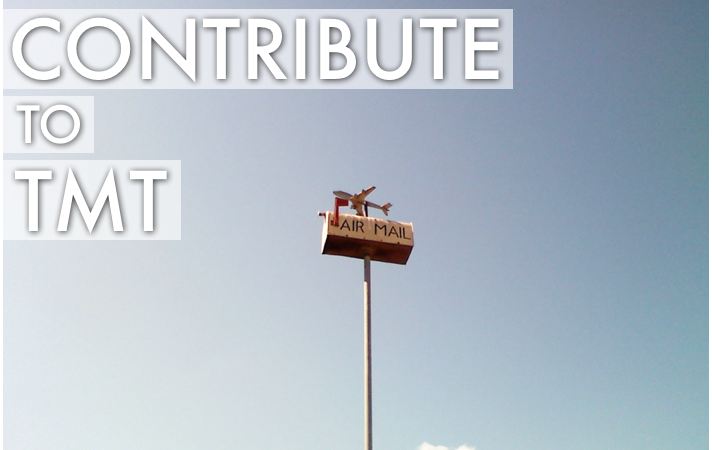 Email contribute@trevormorrowtravel.com and let me know what you’d like to write about before writing an article. It it a Perfect Day article? Briefly tell me about it. It it a Must Visit Breweries article? Share with me a few of the breweries you’d include. Also make sure to introduce yourself! Tell me a bit about yourself — include your first and last name, where you live, what you do, links to any social media profiles – all that good stuff. If your article idea is a good fit for Trevor Morrow Travel, we’ll let you know and provide you with a little more information and a few guidelines (we won’t bore you with them here). From there, it’s time to write! Ideally you can provide your own original photos related to the subject matter of your article. However, if you can’t just let us know and we can look into getting photos from any businesses mentioned or through a creative commons license. Of course, you will be credited as the author of the post. At the bottom of the post, I’ll also post your photo, short bio, a link to your website (if you have one) and links to your social media profiles.